When you visit our website we use cookie data which is stored in third party tools. Rest assured this isn’t personal information about you, instead it allows us to see which pages visitors go to, where they are in the world and how you view our website to make improvements to our website. These third parties include Google Analytics, Facebook and Mailchimp. These third parties do not have access to you personal data. We operate a mailing list which requires your email address to be voluntarily submitted. These email addresses are stored securely within our internal systems and third party Email Service Provider; Mailchimp. You can unsubscribe at any time from our emails by clicking ‘unsubscribe’ on the bottom of every email or by contacting us on post@dyma-fico.uk. When you unsubscribe from marketing emails you will still receive emails relating to orders placed like order confirmations, order dispatch emails. If you contact Dyma Fi via email, telephone or social media channels you may need to provide additional information to allow us to answer your query. Information may include email address, order number, post code or surname. This information will only be used to solve your query. However, third party channels like Twitter and Facebook may store your messages. On request these can be deleted. Only direct employees of Dyma Fi have access to these channels. Within Dyma Fi we will use your data to fulfill your order and contact you for various scenarios relating to your order with us. Some of these instances may include but are not limited to being contacted about your order from our customer service team relating to stock issues, delivery and dispatch times. If you’re signed up for our marketing communications we will contact you with email regarding new products, and other marketing promotions which we think you may be interested in. 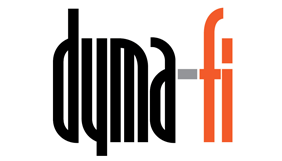 We keep customer data for the sole use of Dyma Fi. When you place an order we keep these details on a secure system for business use. You can opt-out of all marketing communication at any point by contacting our customer service team or on the unsubscribe button on every email. If you opt-out to marketing communications you will still receive order confirmations and dispatch emails relating to any future order placed with Dyma Fi. We use some third party applications to monitor site analytics, marketing software and for email marketing. These third parties include Google Analytics, Facebook and Mailchimp. These third parties do not have access to you personal data. You can request the data held on you/amend the information we have in writing at any point. We will ask for identification to confirm you are the person requesting the data. Either via post@dyma-fi.co.uk or via the post.